12:59 a.m. 12 Melba Pl., Pittsburgh, PA 15213. Pitt police issued a citation to a male student for disorderly conduct. 7:06 p.m. 200 Atwood St., Pittsburgh, PA 15213. Pitt police issued a citation to a non-affiliated individual for carrying an open container of alcohol in public. 7:54 p.m. 3600 Fifth Ave., Pittsburgh, PA 15213. Pitt police issued a citation to a non-affiliated individual for carrying an open container of alcohol in public. 9:55 p.m. 3700 Forbes Ave., Pittsburgh, PA 15213. Pitt police issued a citation to a non-affiliated individual for panhandling. 11:11 p.m. 3900 Forbes Ave., Pittsburgh, PA 15213. Pitt police gave a verbal warning to an individual for panhandling. 8:55 a.m. Cathedral of Learning 4200 Fifth Ave., Pittsburgh, PA 15260. Pitt police responded to a custodian’s report of the theft of an oscillating fan. 2:27 p.m. Litchfield Towers 3990 Fifth Ave, Pittsburgh, PA 15213. Pitt police arrested a non-affiliated individual for possession of a small amount of marijuana. 12:27 a.m. 3599 Louisa St., Pittsburgh, PA 15213. Pitt police issued three citations to a female student for underage drinking, carrying false identification and carrying an open container of alcohol in public. 1:09 a.m. 3433 Bates St., Pittsburgh, PA 15213. Pitt police responded to a report of indecent exposure. 8:16 a.m. 4498 Bigelow Blvd., Pittsburgh, PA 15213. Pitt police issued a citation to a non-affiliated individual for public drunkenness. 4:26 p.m. Western Psychiatric Institute and Clinic 3811 O’Hara St, Pittsburgh, PA 15213. 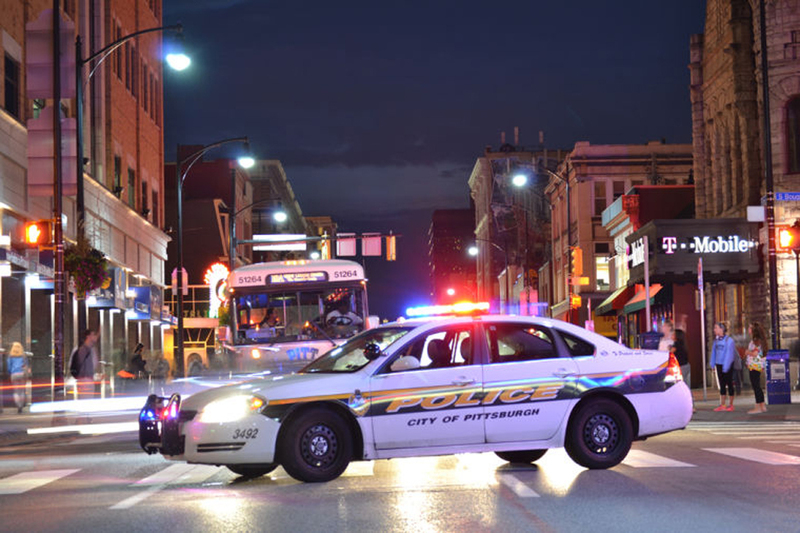 Pitt police assisted city police with an assault. 10:36 p.m. 3800 Forbes Ave., Pittsburgh, PA 15213. Pitt police issued a citation to a non-affiliated individual for public drunkenness. 11:38 p.m. 3900 Forbes Ave., Pittsburgh, PA 15213. Pitt police issued a citation to a non-affiliated individual for possessing or smoking marijuana. 12:06 a.m. Western Psychiatric Institute and Clinic 3811 O’Hara St, Pittsburgh, PA 15213. Pitt police assited UPMC security with an individual who was making threats. 4:40 p.m. 3800 O’Hara St., Pittsburgh, PA 15213. Pitt police issued a citation to a non-affiliated individual for harassment. 5:41 p.m. 200 Atwood St., Pittsburgh, PA 15213. Pitt police issued a citation to a non-affiliated person for carrying an open container of alcohol in public. 4:20 p.m. Semple Street, Pittsburgh, PA 15213. Pitt police issued a citation to a non-affiliated individual for harassment.